Chinese nature has held an allure for artists for millennia, and not least for contemporary photographers. 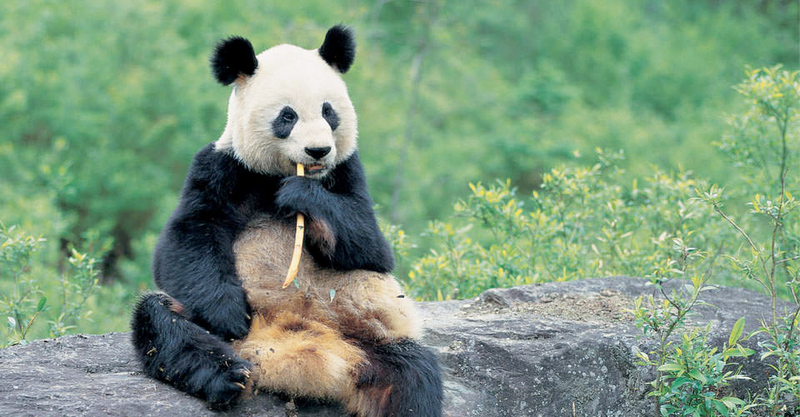 From its mystical landscapes to its enchanting pandas, China offers an amazing array of subjects. Great rivers and mountain ranges dissect its interior, and waterfalls pour from travertine terraces. 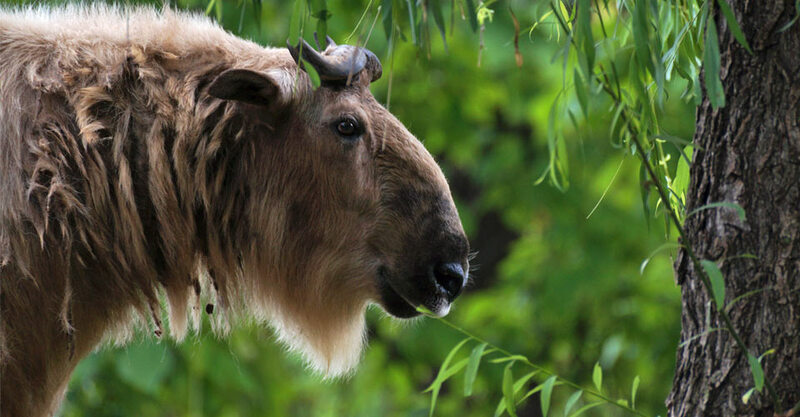 Wild nature reserves are home to shaggy takin, Asiatic black bears, rare golden monkeys, exotic birds including the golden pheasant, and, of course, the giant panda. Leave the urban crush behind to photograph a side of China rarely experienced by most travelers. 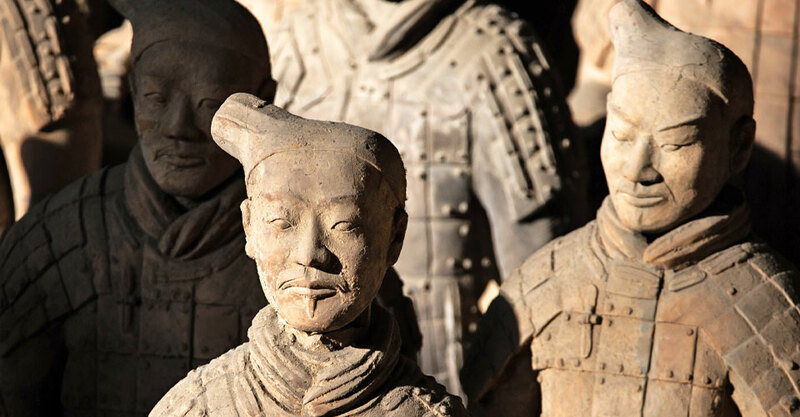 Yet cultural highlights are captivating, too, and we'll visit ancient Xi'an where the Terracotta Warriors have guarded the tomb of China's first emperor for more than 2,200 years. 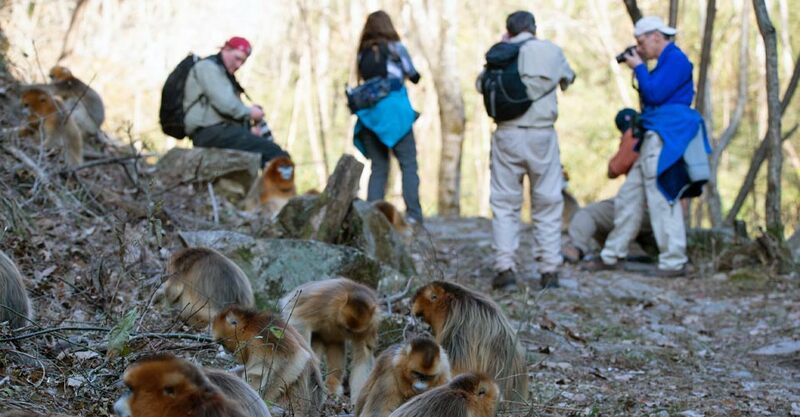 Explore this diverse country's nature, wildlife and history as we capture rare images of wild and ancient China. 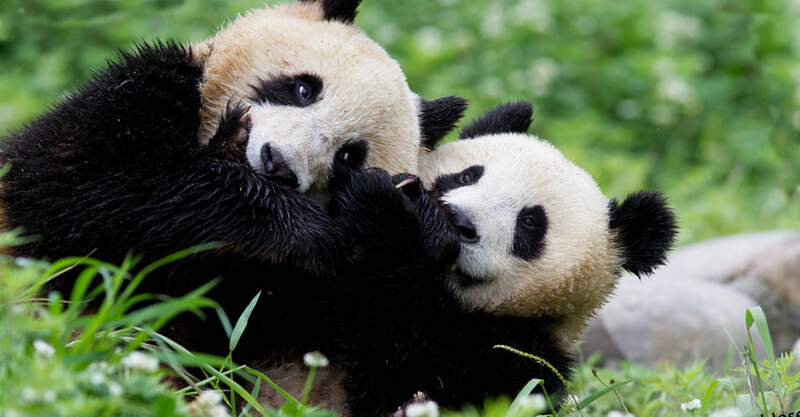 We hold exclusive permits to enter a remote, little-visited nature reserve, with access to areas where wild giant pandas live and breed freely. Though their numbers are few in this vast reserve and they are highly elusive—we won't expect to see them—it's a thrill to be able to look for them in their native wild habitat. 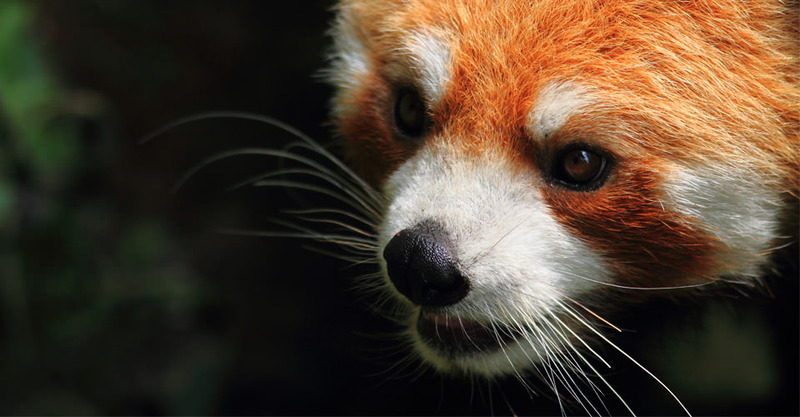 In addition to wild pandas, the wilderness reserve that is our focus is home to many other species including red panda, blue sheep, civet, leopard cat, Tibetan and rhesus macaque, muntjac, serow, golden and Sichuan takin, and more than 150 species of birds, including the golden pheasant. Due to a half-century of protection from hunting, many animals lack a fear of humans, and we can often photograph them from roads and trails inside the reserve. However, it is important to note that vegetation is heavy, weather can affect wildlife visibility, sightings are highly unpredictable, and we often see wildlife at a distance. If it's panda photos you're after, we're certain no other tour offers the panda immersion this one does. 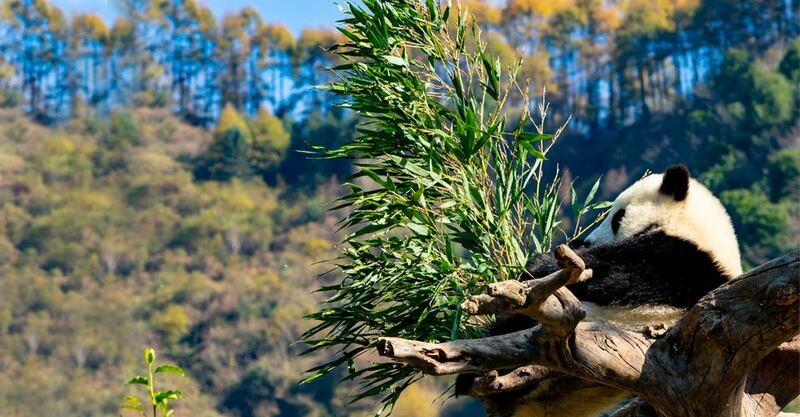 We make sure you get all the close-range shots you hope for when it comes to giant pandas. 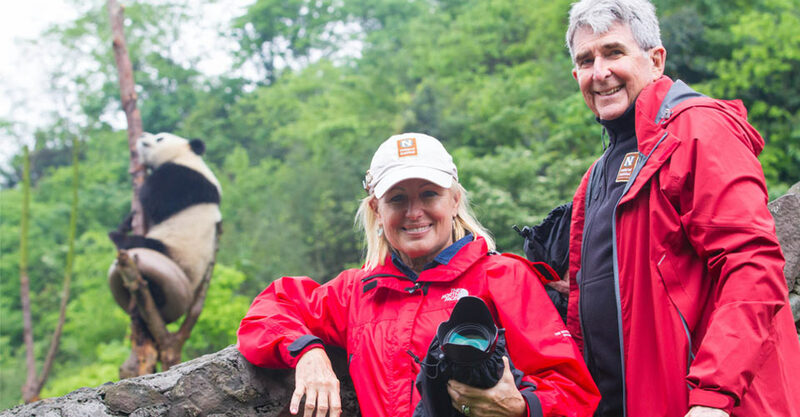 On separate visits to three different panda research bases, you'll photograph pandas in different settings, from enclosures ensuring good close-ups to natural, open environs where pandas may climb trees or otherwise engage in typical "in the wild" behavior. 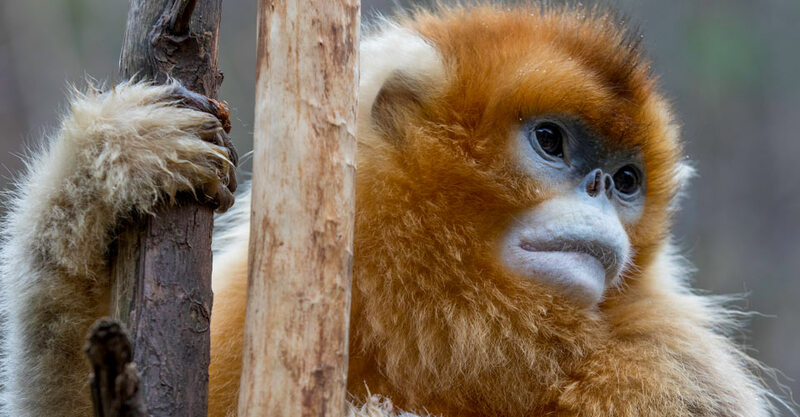 China's other hallmark species is the golden snub-nosed monkey, and we include a visit to a golden monkey reserve where a large habituated troop provides endless entertainment from just feet away. Though they are not truly "wild," neither are they enclosed, and we are thus able to get wonderful close-ups of their wizened faces and charming behavior. 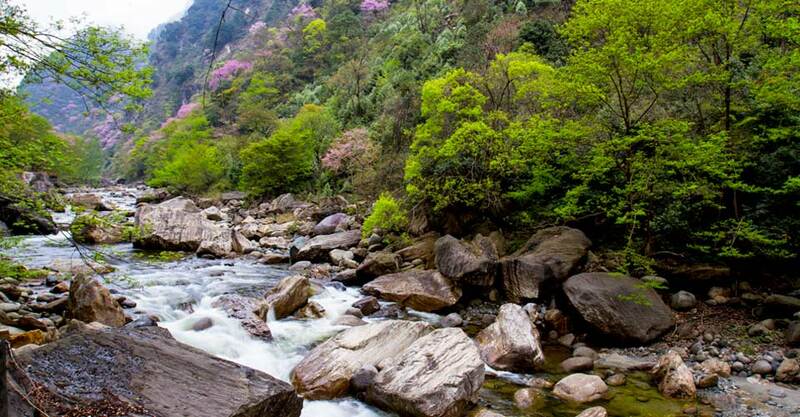 We spend the entire day photographing the dramatic scenery of Siguniangshan National Park as we traverse the high-altitude Shuangqiao Valley, ringed by snow-capped peaks, including Four Sisters Mountain, rising to 20,000 feet. Colorful geological features mirror-like lakes, pagodas and prayer flags make for captivating photography subjects. Few if any western travelers regularly set eyes on this stunning landscape. Our Expedition Leader offers guidance along the way to help you get exceptional shots. Our travels include an overland traverse along the edge of the sprawling Qinghai-Tibet Plateau, where small villages, prayer flags and chortens dot the landscape. We'll learn more about this deeply traditional culture, which offers a dramatic counterpoint to the urban Chinese setting of Chengdu. Of course, we would not omit the chance to visit this extraordinary archaeological site, where you'll have a chance to get close-up shots from a wide range of angles of the thousands of hand-carved warriors, horses and chariots unearthed here more than 2,000 years after their intricate creation—no two statues are exactly alike! 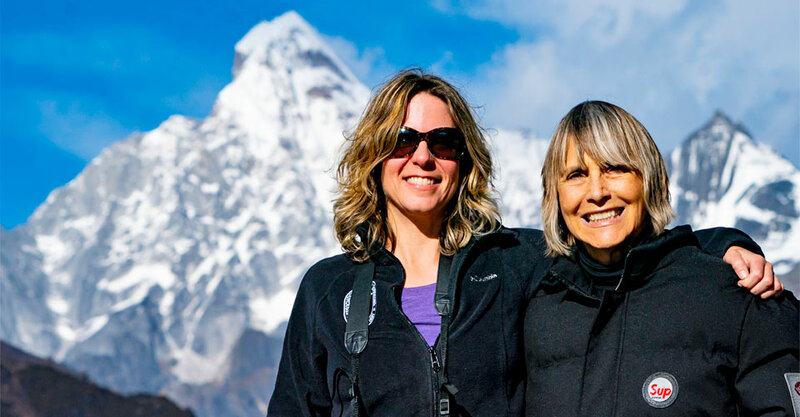 Because we limit this trip to 12 guests, you’ll get plenty of personalized attention and photography coaching from our Expedition Leader. A small group also means we’re able to get everyone up and out early in the morning to chase the best light. We’ll have the flexibility to remain at a site longer if it shows a lot of photographic potential, or move on to a new destination if it doesn’t. Your NHA Expedition Leader is not only a naturalist but also an expert nature and wildlife photographer, with plenty of time and enthusiasm to answer all your questions and provide tips and techniques. We are also accompanied by an outstanding Chinese naturalist guide who provides insight into historic and contemporary Chinese culture, along with the natural realm. 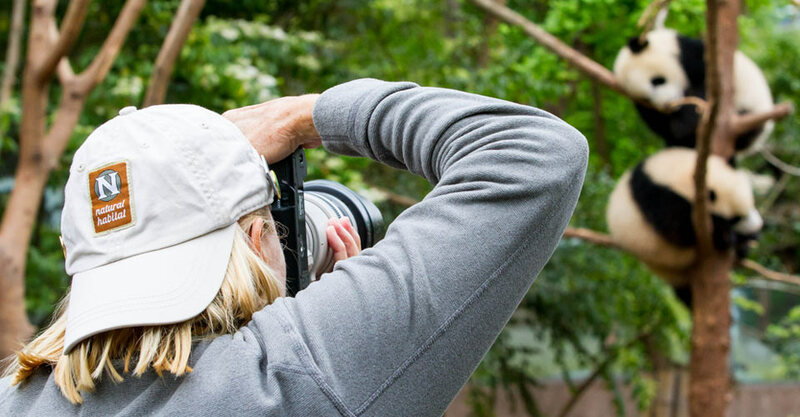 With a tremendous depth of guiding experience, plus additional training and resources provided by WWF’s top scientists, our staff will make your trip a learning adventure as well as a photography quest. See Expedition Leader bios with traveler comments regarding the quality of our leaders. From our 5-star luxury hotel in Chengdu to a quiet group of mountainside chalets in a remote nature reserve where other travelers are few, our comfortable lodgings place you in close proximity to the highlights of each region we visit, whether that's wildlife, evocative landscapes or vibrant street life. While photography may be your primary interest, food lovers will be thrilled by the culinary delights offered during this trip. Sichuan province in particular is famed for its piquant cuisine, and we take full advantage of opportunities to try a wide selection of restaurants and dishes, carefully selected by our local Chinese guide to appeal to Western palates and preferences. Since food is typically served family-style at a large round table, multiple tastes and dietary preferences can be catered for at any given meal (though be sure to make special needs known to us ahead of time). And never fear that you'll be eating only in hotels or touristy restaurants: we make a point to choose locations that are popular with local people, for a truly authentic Chinese dining experience. Natural Habitat Adventures offers an exclusive guarantee that clearly states that we will meet the high expectations we set forth in our promotional materials. To our knowledge, this is the most ambitious guarantee made by any adventure travel company. Read our important promise. We all care about the planet, and you can travel with us knowing that the emissions from your trip are 100-percent carbon-offset. Natural Habitat Adventures is the world’s first carbon-neutral travel company and a leader in sustainable practices throughout its operations abroad and at home.